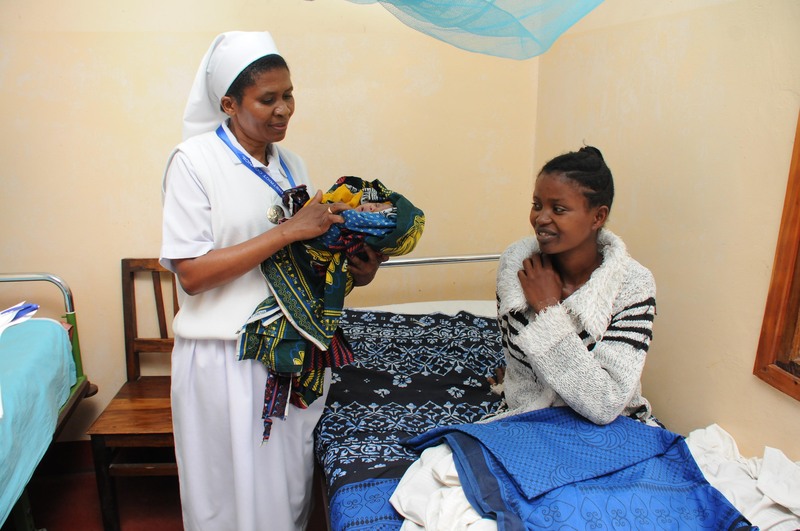 By the first of May 2017, over 212,145 people in rural communities in Northern Tanzania had access to care through the public-private health insurance scheme called ‘improved CHF’ (iCHF). iCHF was launched in November 2014 with the aim to increase access to quality healthcare for people in the informal sector, mostly rural and low-income groups. iCHF is a voluntary, district-owned health insurance scheme, built on a strong partnership between the National Health Insurance Fund (NHIF), the district councils (local government), public and private healthcare facilities and PharmAccess. PharmAccess, with the support of the Dutch Ministry of Foreign Affairs, provides actuarial expertise, technical assistance and funding for support on marketing, administration and quality improvement using the SafeCare standards. PharmAccess has been supporting health insurance involving the private healthcare sector in Tanzania since 2011, working with a cooperative in the Kilimanjaro region to provide health insurance to coffee farmers and their families. The success of this scheme prompted discussions with local districts and the NHIF to implement a similar model for the whole population of the districts where PharmAccess was already working. Under the existing district-owned Community Health Fund (CHF), people could enrol for insurance at public providers for on average about Tsh 10,000 (less than USD 5) per year. However, enrolment remained low, sometimes below 1% of the population. Under the ‘improved CHF’ (iCHF), people can enrol at public and private facilities that are being supported to offer better quality through training, equipment provision and infrastructure upgrading. iCHF also offers a more extensive benefits package, covering primary care and referral for inpatient care for up to 5 days of admission. The co-premium has now been actuarially calculated and raised to Tsh 30,000 (less than USD 14) per household per year. The government of Tanzania matches this amount in order to cover costs and ensure sustainability of the scheme. The premium is thus 100% locally funded. NHIF, with technical support from PharmAccess, administers the scheme at a regional level. It pays healthcare facilities directly to their bank accounts for each household enrolled onto iCHF, adding an incentive for facilities to improve their quality and attract more enrolees. Currently, iCHF is available in 6 out of 7 local governments in the Kilimanjaro region and in all 7 local governments in Manyara region. So far, enrolment is relatively high and above original projections. In the best performing districts, enrolment is above 15% of the total population, more than a tripling compared to the former CHF, meaning healthcare facilities are receiving much higher reimbursements and are thus better equipped to sustain and improve their healthcare delivery. The enrolment success can partly be attributed to the access to care at private providers. In Kilimanjaro region for example, 50% of iCHF enrolees opted for a private provider while only 40% of facilities in that region are private. However, the endorsement by local districts, regional authorities, and the national government (including NHIF), has also been key. The government of Tanzania has developed an Improved CHF for a nation-wide rollout as part of its policy to move towards Universal Healthcare Coverage (UHC). Key elements of iCHF like administration by NHIF, a household contribution of Tsh 30,000 and involvement of private providers are part of this government-led Improved CHF. Click here to access a long-read on iCHF.